Collins Booksellers - Kohut, Loewald and the Postmoderns by Judith G. Teicholz, 9781317771135. Buy this book online. In Kohut, Loewald, and the Postmoderns, Judith Teicholz, using the contemporary critique of Kohut and Loewald as a touchstone of inquiry into the current status of psychoanalysis, focuses on a select group of postmodern theorists whose recent writings comprise a questioning subtext to Kohut's and Loewald's ideas. Acutely aware of the important differences among these theorists, Teicholz nonetheless believes that their respective contributions, which present psychoanalysis as an interactive process in which the analyst's own subjectivity plays a constitutive role in the joint construction of meanings, achieve shared significance as a postmodern critique of Kohut and Loewald. She is especially concerned with the relationship - both theoretically and technically -between Kohut's emphasis on the analyst's empathic resonance with the analysand's viewpoint and affect, and the postmodern theorists' shared insistence on the expression of the analyst's own subjectivity in the treatment situation. Her analysis incorporates fine insight into the tensions and ambiguities in Kohut and Loewald, whose work ultimately emerges as a way station between modern and postmodern viewpoints, and her appreciation of Kohut and Loewald as transitional theorists makes for an admirably even-handed exposition. 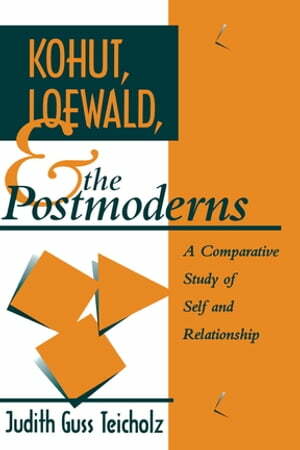 She emphasizes throughout the various ways in which Kohut and Loewald gave nascent expression to postmodern attitudes, but she is no less appreciative of the originality of postmodern theorists, who address genuine lacunae in the thought and writings of these exemplars of an earlier generation. Teicholz's examination of what she terms two overlapping "partial revolutions" in psychoanalysis - that of Kohut and Loewald on one hand and of the postmoderns on the other - throws an illuminating searchlight on the path psychoanalysis has traveled over the last quarter of the 20th century.